Meet Chloe. She is the twin sister of Jhoie, the die-hard fan of Kimpoy Feliciano who died of brain cancer. Before her sister’s demise, Chloe made a promise to Jhoie that she will go to Manila to meet her idol Kimpoy and give him the letter that she wrote for him. At first, Chloe is hesitant and wondering what on earth does this Kimpoy Feliciano have that her sister got so smitten with him. Feeling the need to fulfill her promise, Chloe ventures to Manila to find a job and a place to stay, win new friends and of course, to meet the online heartthrob. 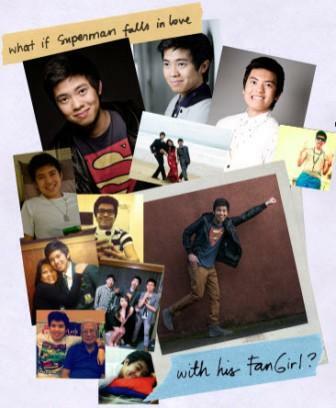 Then one day, Chloe joins a group of Kimpoynatics to meet and greet Kimpoy in a small fans assembly. The heartthrob arrives. When she laid eyes on him, she became an instant fan. In the novel, Chloe gets her much-awaited opportunity to get really close with her “Superman.” But, will her love be enough to win the guy’s heart? Will two different worlds meet in the name of love? Is there really a future for this Fan Girl and the male celebrity? Will she be Lois Lane to her Superman? 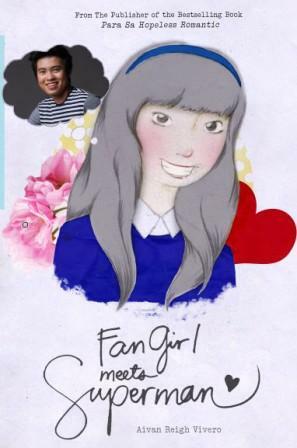 “Fan Girl Meets Superman” will be available in all branches of National Bookstore and Powerbooks in Mega Manila beginning July 10. It will arrive in provincial bookstores (Luzon, Vizayas and Mindanao) on the third/fourth week. Each copy is only P99.95!